Please, don’t do it! 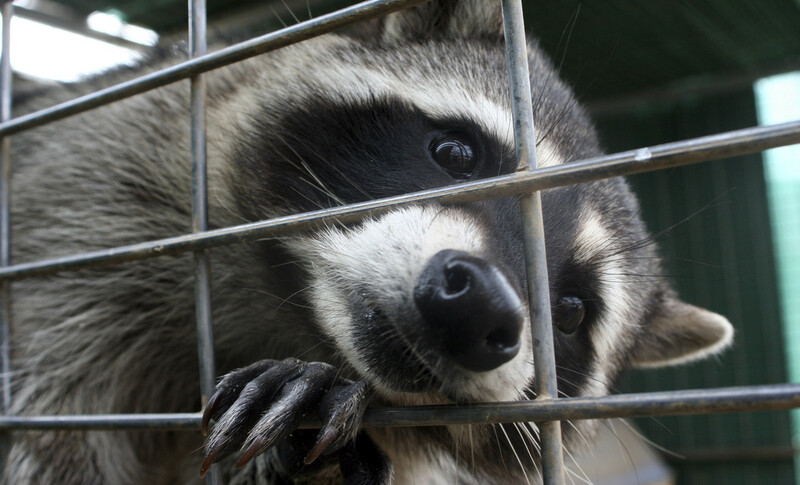 Resist the temptation to keep rescued wildlife as pets. Every time I see one of those videos of adorable wildlife “pets,” I instantly find myself thinking, “Aww, I want one, too!” You’re probably captivated the same way, and especially your children. But, there are several good reasons not to turn wild animals into pets. First of all, according to most reports, the majority of pets taken from the wild are dead within two years, in spite of the owner’s best efforts. They require special diets and activity of a nature that captive life can’t provide. They stay alive (if not happy) in zoos because zoo managers are experts at fulfilling the needs of the animals they keep: the right foods to eat, proper surfaces for them to stand and lie on, methods for giving them suitable exercise and activities that enrich their lives even though they’re in captivity. Plus, they have experts in veterinary medicine. The vets we know don’t know how to properly treat wildlife, and most will decline to try, even in an emergency. Consider, too, the important reality that wild animals don’t want to be pets — it’s against their nature. They haven’t been domesticated for thousands of years, like our dogs and cats. Evolution hasn’t mentally conditioned wildlife to a lifetime of confinement. It’s equivalent to finding ourselves in a jail cell for the rest of our lives. Much as we love the little animals we find and earnestly want to take good care of, with few exceptions we condemn them to a life of misery: No freedom, no others of their kind to associate with, no opportunities for parenting. It’s tempting to think we could just raise them while they’re small, cute and cuddly, and then release them as adults. Unfortunately, that just doesn’t produce a happy ending. The released animals don’t know how to fend for themselves — how to find food, where to take shelter, how to evade predators — so they’re doomed to an early death, sometimes within hours from predators, or slowly from starvation. They needed their parents to teach them how to survive out there. As they grow bigger, wild animals become harder to handle. Helpless babies grow into adults with an instinctive need to be free and to protect themselves. They often emerge from adorable dependency into defensive and potentially dangerous adult behavior, including aggressive biting and destructiveness. Even little Cottontail bunnies grow into adults that bite, gnaw and kick with tremendous strength — survival behavior designed for the wild, not our laps or homes. This isn’t to say that wild pets are mean — they’re just wild animals behaving as wild animals do, displaying survival behavior that’s not adaptable to a home environment. It’s best to immediately turn over injured wildlife to certified wildlife rehabilitators, who know how to care for and release them. Take care not to rescue an “orphan” that doesn’t need rescuing: Usually, its parents are nearby waiting for humans to move away. When it’s imperative, here’s how to temporarily care for rescued wildlife, and here’s how to locate a wildlife rehabilitator in your area.